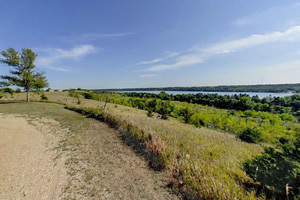 Welcome to the Big Stone Lake State Park virtual tour! 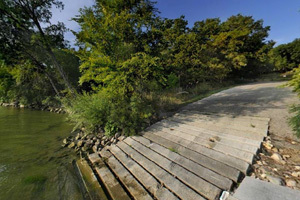 Experience a taste of what this park has to offer as you discover places to fish, boat, swim, hike, and visit historic buildings. Enjoy your virtual tour, and come visit the park in person sometime soon! Long ago, this area was the south end of Glacial Lake Agassiz. Torrents of water cut the valley when Glacial River Warren drained Lake Agassiz. 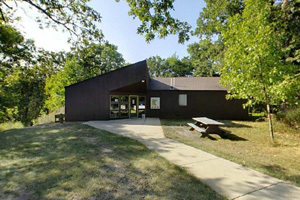 Established in 1961, Big Stone Lake State Park consists of three distinct units: the Meadowbrook Area, the Overlook Area, and the Bonanza Area. Pack a picnic lunch and enjoy a beautiful view of Big Stone Lake. The lake is 26 miles long and the source of the Minnesota River. 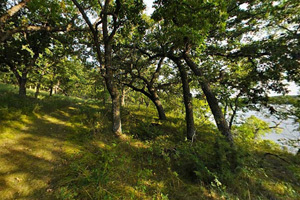 Stretch your legs and hike this trail between the Bonanza Boat Launch and the Bonanza Educational Center.You’ll pass through unique oak basswood forest along the way. 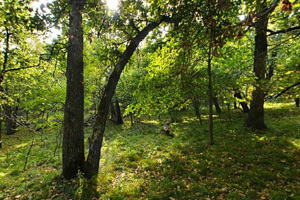 The Bonanza Area of the park contains beautiful oak basswood forest. Beneath the trees, sunlight creates a dappled forest floor. The Bonanza Educational Center houses interpretive displays that showcase the area’s natural and cultural history. The center is leased by a non-profit group and is open to the public by appointment only. 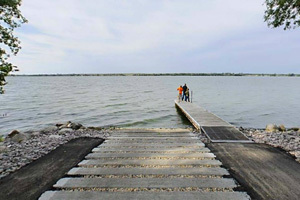 The park has boat landings at the Meadowbrook and Bonanza areas, giving access to both the northern and southern ends of the lake. Wooden docks serve as a great place to fish. If you are lucky, you may catch a bluegill, walleye, or northern pike. 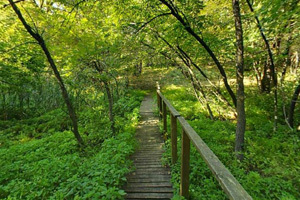 Part of the Bonanza Trail runs along the shoreline of Big Stone Lake through oak savanna woodland. 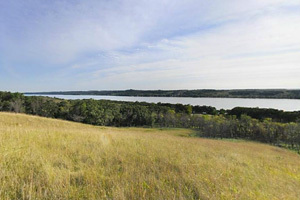 This small rest stop offers a magnificent view of Big Stone Lake and the surrounding landscapes. 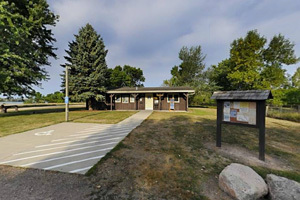 The park office in the Meadowbrook Area is a convenient place to purchase a vehicle permit, register for a campsite, or learn more about the local area. 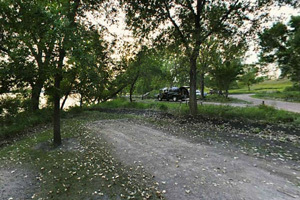 The office is located just a short walk from the Meadowbrook Campground, boat launch, and swimming beach. 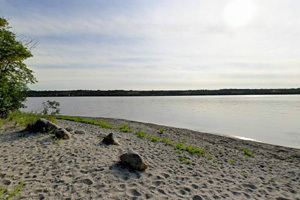 The park’s sandy-bottomed swimming beach is a great spot to cool off on a hot summer day. Since Big Stone Lake is so shallow (only 15 feet at its deepest), shore fishing is as good as boat fishing. The boat launch and parking area within Meadowbrook were rebuilt in 2012. 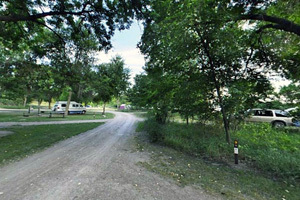 The Meadowbrook Campground offers you 37 campsites (ten electric) to choose from. 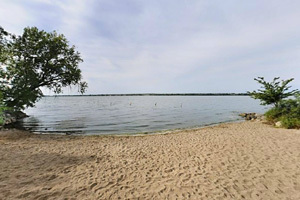 Thirteen campsites are located along the lakeshore, giving campers a chance to shore fish right from their campsite. Most sites are shady, level, and within easy walking distance of the modern showerhouse/bathroom. 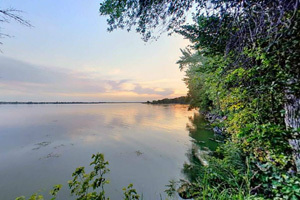 Just steps away from the campground, experience an incredible view of Big Stone Lake at dusk. Enjoy a camp dinner at the picnic table located in each campsite, or roast marshmallows over the fire ring as you watch a sunset over the lake. 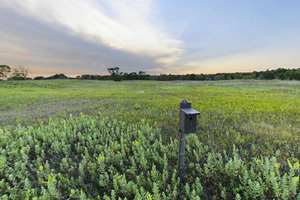 Old farm fields are gradually being restored to tall grass prairie within the park. This state wayside was established in 1929 to honor Joseph R. Brown's son, Samuel J. Brown. Called the "Paul Revere of the West," Samuel rode 120 miles through a storm on April 19, 1866, to warn of an expected attack. The wayside features a museum, schoolhouse, and picnic area. It is located within the village of Browns Valley. 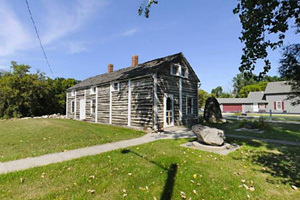 This historic cabin is operated as a museum by the Browns Valley Historical Society. 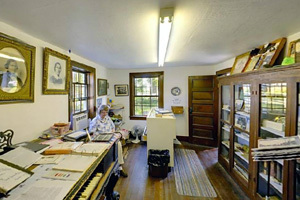 The cabin interior is filled with historical photographs and artifacts. Call the park office to find out what days the cabin is open to the public. Get a taste of pioneer life with a visit to this historic schoolhouse, located on the grounds of the Sam Brown Monument Wayside. 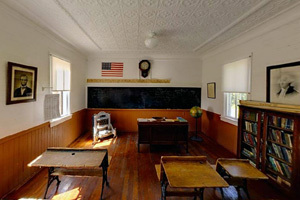 Within the one room schoolhouse, period furnishings and children’s desks will transport you back to another time.